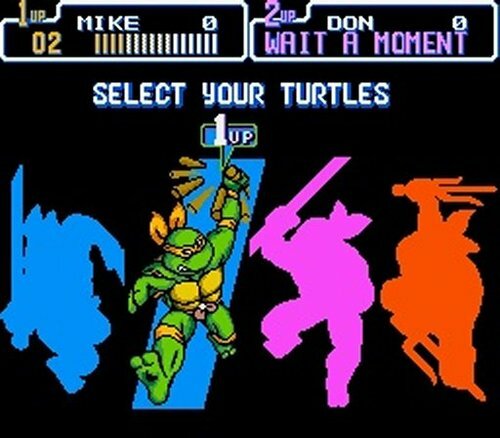 My father would play “Turtles in Time” with me very frequently back in the days of my youth – going so far as to explain why they called that level “Bury My Shell at Wounded Knee.” That game’s music always rung tirelessly in my head throught elementary school days. I knew that at some point I’d be back to licking the Foot (Ew) with the old man. It was a strong formative experience that harkened to early days of co-op gaming with my father – all the way back to when we played “Golden Axe” together (I was the barbarian, he played the-guy-holding-the-barbarian-up-high-enough-to-reach-the-controls). My father never had an interest in electronic entertainments, but I did convince him to try playing Dance Dance Revolution. Once. It was quite a thing.